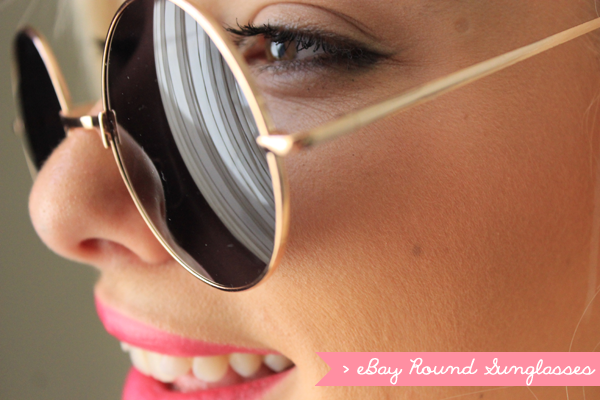 I have tried every single style of sunglasses and I wasn't sure if Round "Vintage Looking" Sunnies would suit me. In fact when I bought these I said to myself no way they look horrible. If they were slightly bigger they would be perfect but I noticed with makeup and either having a messy bun or an edgy look, these look amazing. I had bought some off a site once for my shop then found similar ones from eBay and I immediately snatched these up to try out. 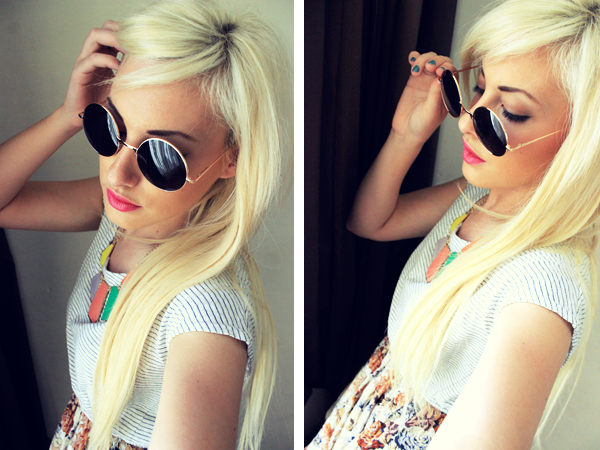 Pairing them with this Dress I had bought from a boutique in Camden Town last year made the "Vintage Look" complete. With Summer going in full swing here in Malta, I have noticed the heat tremendously. Sleeping and waking up to heat is killing me! And please note I always carry a pair of sunglasses come Winter or Summer as here The sun is present most of the year believe it or not. 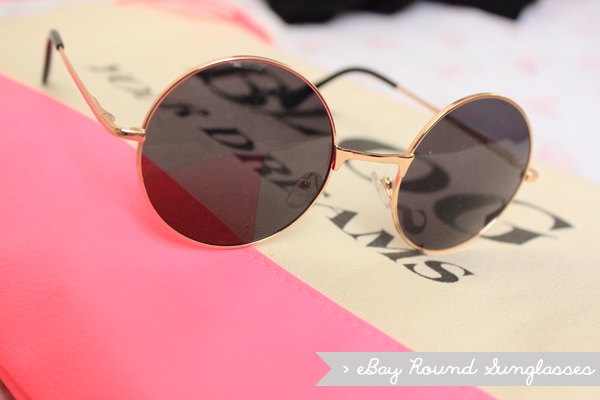 I change it up every year with sunglasses and I spotted these gorgeous black with gold rim round sunglasses from Topshop but sold out on the site unfortunately as I am still on the look out to try different Round Sunglasses apart from these ones. These are gorgeous! I'm like you, I don't think they'll suit me. Worth a go though, as you've proved they look amazing! I love these, they look so fab on you :) I really like how they are bigger too, the ones I find are always so tiny I'm afraid I'll look like Elton John!